currently under construction at 8935 Magnolia Avenue, Santee. Sales for available units range in price from $559,500 to over $559,500. Magnolia Villas has a total of 10 units. 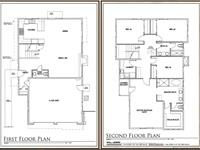 Sizes start at 2259 square feet. This small-town neighborhood features a number of well-regarded schools within walking distance, including Hill Creek Elementary School and Santana High School. Although Santee’s population is only 53,500, the city contains a vast assortment of amenities and activities, such as shopping (including but not limited to Costco, Home Depot, Target, Lowes, Wal-Mart, all major brands) and dining (over 120 restaurants). Santee also has plenty of recreational activities such as fishing and picnic areas at Santee Lakes, Carlton Oaks Golf Course, hiking and much more. Magnolia Villas is also located within minutes, by trolley or by car, to all regional major entertainment venues (Qualcomm Stadium, Sea World, San Diego Zoo/Balboa Park and Petco Park). Each home offers 2,259 sq. ft. with 4 Bedrooms, 2.5 baths and nine foot ceilings, featuring a Master Bedroom Suite, with a private balcony, a walk-in closet, a sitting area, and the Master bathroom featuring a spacious tub, tiled shower with glass enclosure, and a double vanity with quartz countertops. The open Kitchen features stainless steel General Electric appliances with custom cabinetry and quartz countertops that open up to the Great Room with fireplace. The second floor Laundry Room comes with a laundry sink and the Two-Car Garage is completely dry walled and painted. Additional amenities include gas cooking, tankless water heater, air conditioning, fire sprinklers throughout and garage door openers. The Villas also offers a Community area with barbecue, a picnic area, Tot Lot and Greenbelt Area. 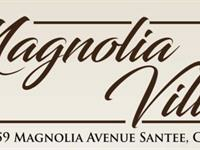 Magnolia Villas start as low as $559,500. Your inquiry will be delivered to the Magnolia Villas sales team, who will send you more information about this development.